i have created a document library with some folders and files. 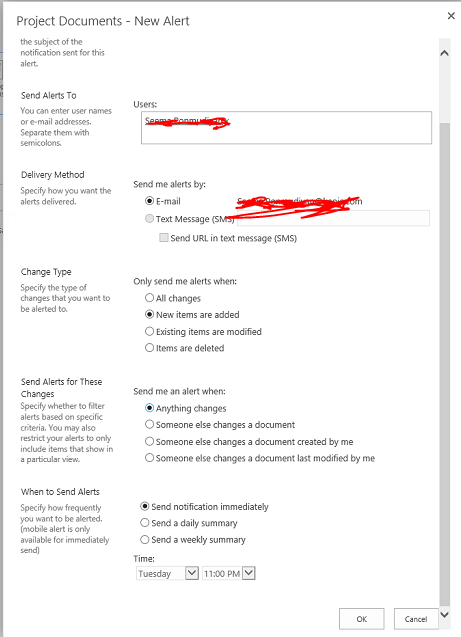 I added an alert for some users, then when i upload 2 documents in the sharepoint library it sent around 72 emails instead of the details of the 2 document that i just uploaded. Is this supposed to happen like this ?. Is there any way that we can customize it ? Browse other questions tagged sharepoint-online or ask your own question.